During the holidays, my family really enjoys the “once a year recipes” like pumpkin pie, cornbread dressing, turkey, and mashed potatoes with gravy. They don’t often let me change it up and new recipes are out of the question. 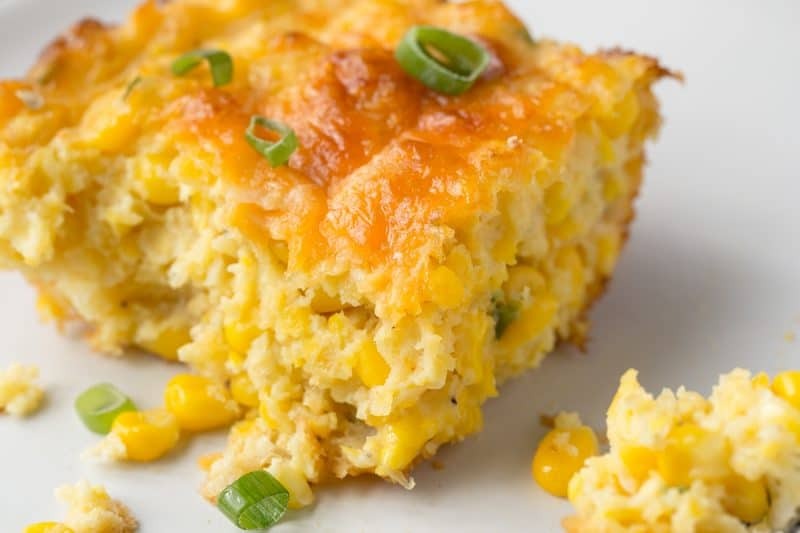 One of our favorite holiday side dishes is corn pudding. I love it but find it too sweet for a vegetable dish. So year after year, I quietly cut down the amount of sugar but still think there is room for improvement. This summer I tested and tweaked a few recipes trying to find a good corn casserole that was flavored with sweet corn instead of sugar. 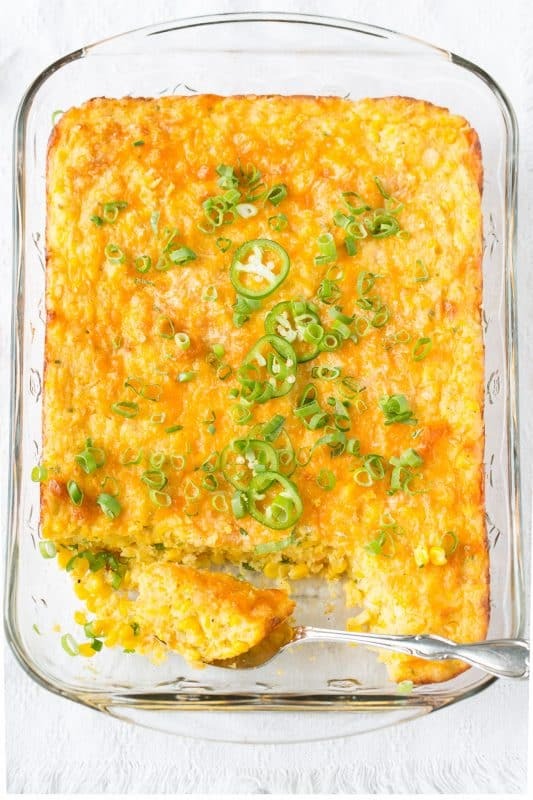 While this Cheesy Corn Casserole with Jalapeños is not exactly corn pudding, it is a delicious and satisfying side dish that’s easily adapted to your taste. 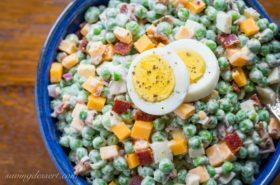 Served hot from the oven or cold from the refrigerator, this is a delicious side that’s great for more than just the holidays. 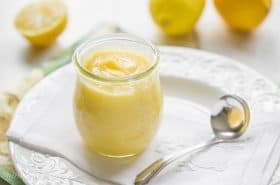 It keeps well and makes a great addition to the breakfast table after being rewarmed for a minute in the microwave. This dish is backyard BBQ ready, brunch, church picnic and pot-luck approved. 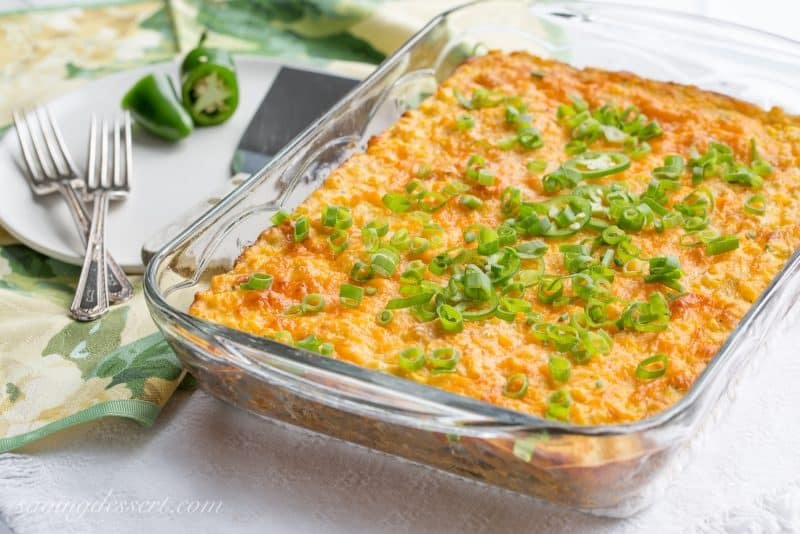 For a more traditional flavored corn casserole, leave out the cayenne and jalapeños. Looking for a smoky flavor? Go wild and add some apple smoked bacon. Finally, my taste testers loved it as-is but I wonder if they will let me make it for Thanksgiving this year? We’ll have to see about that … change is hard when it comes to family traditions. 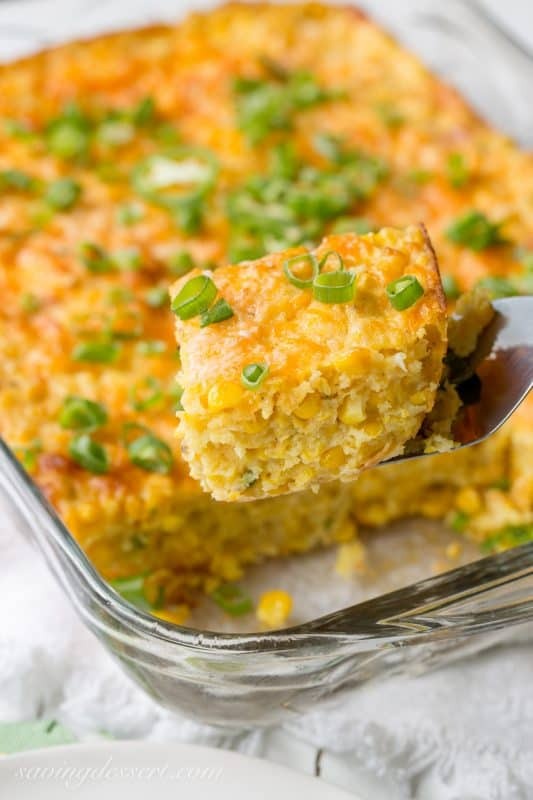 Be sure to PIN to your favorite “Cheesy Corn Casserole” board! 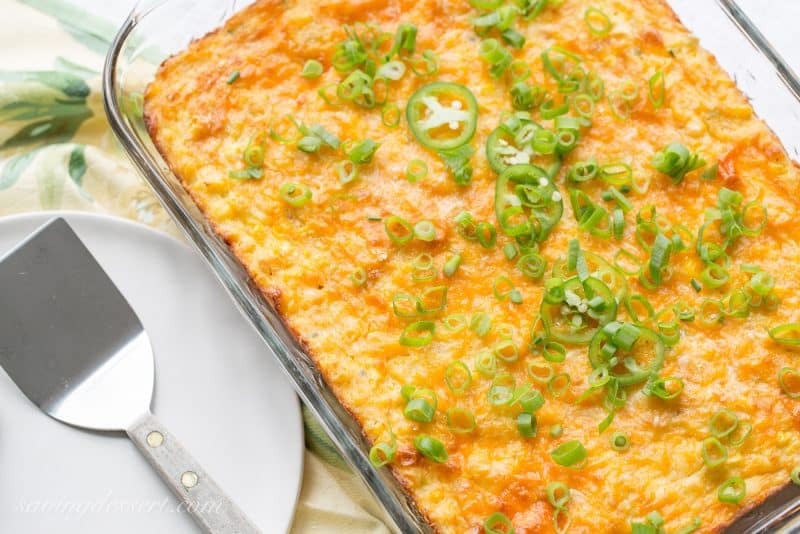 Cheesy Corn Casserole with Jalapeños ~ a lightly spicy casserole sweetened with summer corn. A terrific version of an old favorite. Lightly grease or spray a 13x9 inch baking dish. In a large mixing bowl, whisk together the flour, cornmeal, baking powder, salt, pepper, sugar and cayenne. In the bowl of a food processor, add 1/2 the corn and the scallion whites. Pulse 8-10 times to make a coarse puree. Add the pureed corn and scallion mixture to the flour mixture. Fold in the sour cream, 1/4 cup of Parmesan cheese, eggs, melted butter, the remaining corn, 1/2 the shredded cheddar cheese, all of the cubed Monterey Jack cheese, and the minced jalapeños. Pour the corn mixture into the prepared baking pan. Sprinkle the remaining Parmesan and cheddar cheese on top. Bake until the casserole is puffy and golden brown, about 45 minutes. Cool for about 15 minutes before serving. Garnish with the scallion greens and fresh sliced jalapeños if desired. Busy week ahead! I can’t imagine how busy it is for you all that have little ones at home or in school. I don’t know how we did it but can’t wait until our grandkids start with the sports and school plays, all that fun stuff! And this time, there’s no homework for me 🙂 Have a lovely week and thanks so much for stopping by! Could this dish be prepped the day prior to cooking? Or is it better to prepare, bake and just re-heat the day of using? I think it would be fine to prepare the day before and baking the day of. However, we had leftover rewarmed in the microwave for several days and it was still great. I think a long reheating of a cooked casserole may cause it to be a bit dry. I hope you love it Sylvia – it’s so good! Have a happy Thanksgiving! Thanks, I’ll prepare the night before and bake on Thursday. It’s sounds amazing. I did extensive research, and this recipe looks the best to me. Happy Thanksgiving! Thanks Sylvia – Happy Thanksgiving. I eat corn almost everyday (often frozen, admittedly) so this is calling out to me. And I love a little kick so it’s all kind of irresistible! I saw your comment on Sue’s Hatch Green Chile dip recipe with our Hatch Green Chile. I also enjoy football season and anything Hatch Green Chile! We would love to send you a free box of our Hatch Green Chile to use in your recipes. If you are interested, please send me an email. Even though I’m not cooking much yet (tried last weekend and my hand and wrist paid the price), I am saving this great recipe for when I can! I love corn season in Wisconsin – just too hard to shuck these days 🙁 I’m happy to see frozen corn can be substituted. Pinning! I have been thinking about you Susan – I hope you are healing quickly. That must be awful 🙁 Thanks for pinning! This is inviting me and the sweet corn and Jalapeno kick are just so hard to resist! Making soon! We all get attached to traditional foods! And some of them are things that if we were coming to them for the first time, we’d turn up our noses! This looks wonderful — hope your family lets you serve it at Thanksgiving! I’d vote for it! 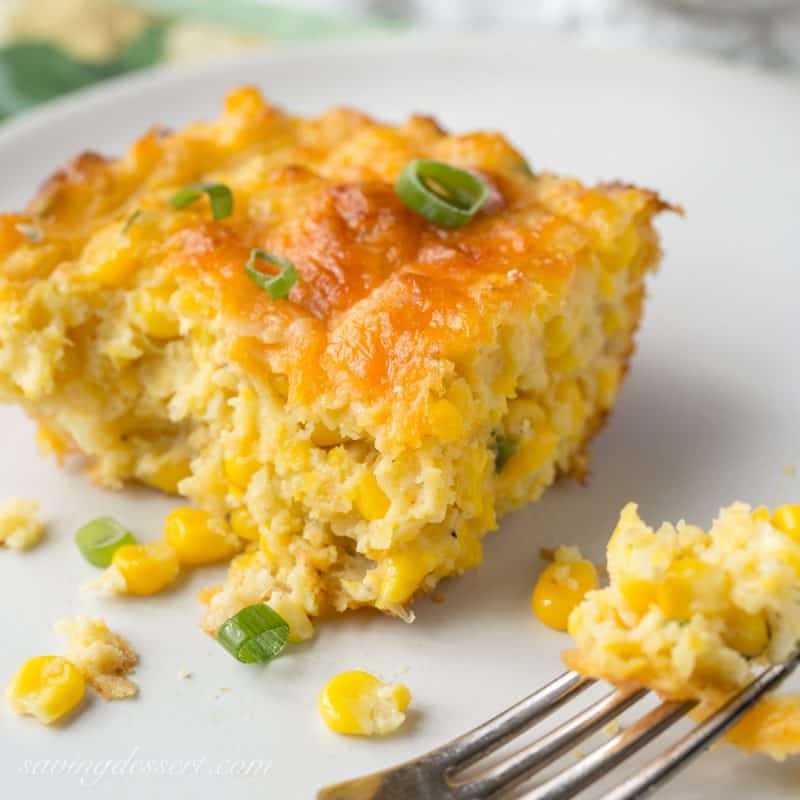 They already tried it so maybe I can talk them into it – we already have plenty of sweets at the holidays, because somebody loves to bake, so a more savory version of a corn casserole is a good idea. Thanks for stopping by! oh Tricia… what are you doing to me? I’ve been on site on a job for a week now and I haven’t eaten properly and this is just too much!! Cheesy Corn… god yes! What a great dish, Tricia! I know what you mean about tradition though. I have found a way around that by introducing a new dish each year but it’s an extra. Then everyone votes on whether they want it included in the next holiday, lol. It seemed the only way to avoid a mutiny! This beautiful recipe has reminded me that I need to go get more corn. Loving the sweet corn right now – ohhh, wouldn’t it be wonderful if we could have it for a few more months! Hope your birthday is a blast! Adding one new recipe each year sounds like a good way to go Robyn. We love the corn pudding but it’s just so sweet. 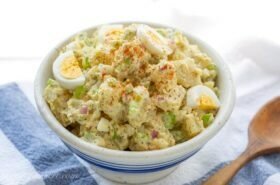 We already have sweets for the holidays so I would rather go with this savory version. Have a lovely week and thanks! Corn is even better covered with cheese, this look fabulous! Thanks Sara – isn’t everything better with cheese – haha! Well if they don’t want it for Thanksgiving just bring it on over to my house! This sounds fabulous, Tricia! I hear you Abbe – and I will! Be careful what you wish for – I have a brother near you! My crave-o-meter is on high right now! This looks awesome. Wonder if you could use a box of Jiffy? 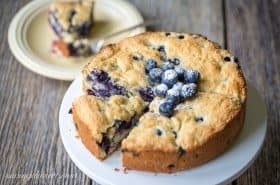 I bet you could use a job of Jiffy but I actually developed this recipe to get away from using the box mix 🙂 We love that stuff – I was just looking for a homemade version without canned cream corn and the prepackaged cornbread mixture. Let me know if you try it with Jiffy – I would be curious to know how it turns out. Thanks for the great question and for reading the blog! By cutting back on the sweet, you have a dish I know I would enjoy – it looks delicious. Yes I think you would Larry! Hope you give it a try when you get home. This sounds delicious! I love the yellow colour. I didn’t know it was worth trying cold either! It’s good cold, hot or room temperature – hope you’ll give it a try! That sounds delicious – and the bacon version is calling my name! Thanks for sharing. What a great combination Tricia, especially adding the jalapeños. Thanks for sharing and I think I have fun playing with this. Cheese and corn and jalapeños – a wonderful combination for sure! This looks amazing Tricia. I love the addition of a little heat with the jalapeños. I think your family could get used to this as a tradition very quickly! I love the heat too Chris – have a great week and thanks! Sunshine casserole:) Corn is on the menu tonight..it is a meal in itself to me..but not to Jacques..so he adds a protein.I just love corn! This is a meal by itself Monique – and I believe I had it for lunch one day and breakfast the next. Hope you enjoy your fresh corn tonight! I wish our season extended just a little longer – there is nothing like fresh sweet summer corn! Thanks Jennifer. A fantastic casserole recipe, Tricia. Spicy and sweet…definitely a favourite combo. Thanks Angie – hope you have a wonderful week. Flour not in ingredient list but is in directions to be mixed with cornmeal, etc.???? Oops! 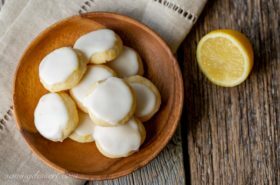 Thank you so much Shelly – adding the 2/3 cup flour to the ingredient list 🙂 Sorry! This is right up my alley, I just can’t get enough corn these days, and jalapenos, heck yes — the more the merrier!